Set in the year 1881, The Massacre at Black Divide is a classic western tale, with a scifi twist. The short tells the story of two men who have a chance encounter in the wilderness of California's Sierra Nevada. One man believes the other to be the infamous outlaw Thomas Vandeford and takes him prisoner until he can prove his identity. Tension builds as he questions whether his hostage is innocent... or is indeed the deadly outlaw he is hunting. Secrets on both sides, only one man will remain. Their story will prove that family bonds are never broken, and sometimes it's the future that will catch up with the past. Jeff Rosick is an actor and music composer, from Portland, OR. As an actor, Jeff has worked on shows like Parenthood (NBC), Bones (Fox), Aquarius (NBC) and with industry legends like writer/director and Academy Award winner Stephen Gaghan on the TV pilot Metro (20th Century Fox). He has worked on films like The Social Network (starring Jessie Eisenberg) and Norman (starring Richard Jenkins). Jeff is probably best known for playing Buddy Garrity Jr., in the Emmy Award winning television show Friday Night Lights (NBC/DirecTV). Born in Cleveland, Ohio, Morgan's passion for acting took him to New York City, where he received his BFA in Drama from NYU's prestigious Tisch School of the Arts. In NYC, Morgan excelled on both stage and screen, performing to critical acclaim Off-Broadway and in numerous films and television shows. Morgan now resides in Los Angeles, CA. Credit selections include Disney's Stuck in the Middle, Comedy Bang! Bang! (IFC), Airplane VS. Volcano, Age of Tomorrow (SyFy), and the leading role in the television pilot Camp Abercorn(Gray Oak Productions), where he met co-star Jeff Rosick. The Massacre at Black Divide marks Morgan's second collaboration with director Steve Makowski, the first being the acclaimed short horror-comedy Pig Lady. Steve directs commercials and branded content for companies like Funny or Die, Vh1, Miramax Films, and Popular Mechanics. He also directs short films like the horror/comedy Pig Lady, which starred Troy Gentile (ABC's The Goldbergs). Previously, Steve worked with writer/director Wes Anderson at American Empirical Pictures, and in physical production at Miramax Films. Daniel Marks is a Los Angeles-based cinematographer. His feature film debut, TEST, was awarded the grand jury prize at Outfest in 2013, played at the Berlin International Film Festival and was a New York Times critics' pick. In addition to feature films, he shoots music videos, television shows, short films and commercials. He recently photographed a pilot for Comedy Central. 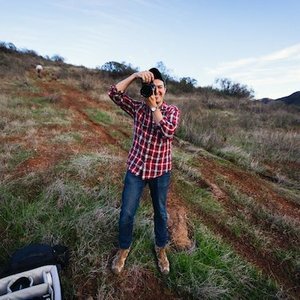 Daniel has worked as a director of photography and camera operator on various television shows for networks, including the Sundance Channel, History and The Food Network. He received an MFA in cinematography from The American Film Institute (AFI) and a B.A. in Film Production from Amherst College. He works frequently in Los Angeles and New York, in every format imaginable... from the GoPro to 35mm. It's not often that the actors and director work together to develop a story from the first sparks of an idea, but that's exactly what happened with this short film. Jeff Rosick, Morgan West and I broke the idea for the short's unique western setting and sci-fi twist over lunch one day and a few months later we were filming up in the California Eastern Sierra. The idea behind our collaboration was always to keep it fun, keep it simple, and if we weren't enjoying the process, we'd let it go - no strings attached. We came up with a fun, simple story that took place in a cool setting and combined two genres we all loved. So far, so good. We chose the Eastern Sierra because it's timeless landscapes could effortlessly transport us back to the year 1881. Everything fell into place when we secured a private ranch on 700 acres with a handshake deal and a bottle of Crown Royale (the drink of choice amongst real Sierra cowboys). With the help of our small crew, comprised of friends and frequent collaborators, we filmed over a cold weekend in February and it couldn't have been more fun. At the end of each day we would spend the evenings cooking together, firing .22 rifles and sitting by a campfire, while our cinematographer Daniel Marks played us his ukulele. It may sound like a romantic version of filmmaking... and that's because it was. Jeff, Morgan and I are still enjoying the process and I hope it shows in the short film we made.